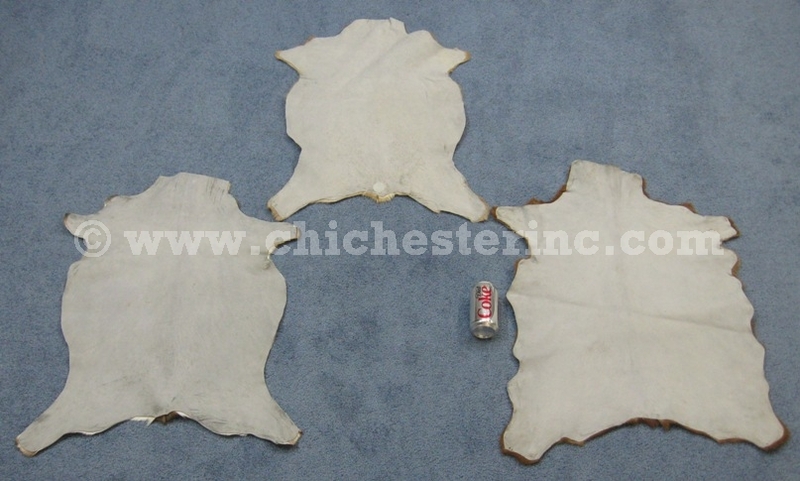 See the back of the hides with a soda can: Medium and Large. These are goat hides printed to look like axis deer hides. The medium hides are 27" to 28" long, 19" to 22" wide, and weigh approximately 0.92 pounds. The large hides are 34" to 35" long, 25.5" to 27.5" wide, and weigh approximately 1.22 pounds. 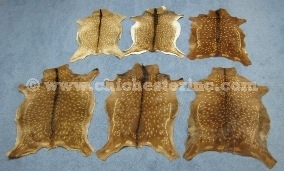 The goatskins we offer are a by-product of the food industry.